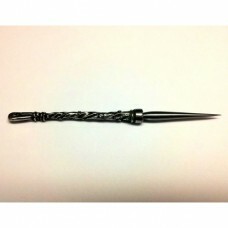 The Best Laying Tool (BLT) was first created by Shay Pendray, the well known canvas work designer an..
Clover's Ball Point Awl can make a hole in fabric by stretching the weave of the fabric without brea..
Clover's Straight Tailor's Awl is useful for piercing even sized small holes in leather and fabric. 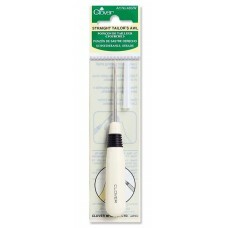 ..
Clover tapered Tailor's Awl is very useful in punching holes in leather and fabrics. It is used for .. 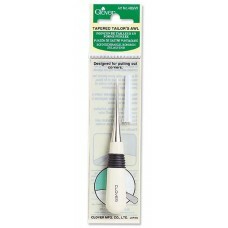 The Mellor is a professional embroiderer's tool for turning metal threads at angles in Goldwork embr.. 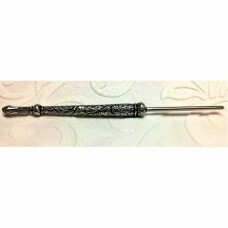 Excellent quality pewter Laying Tool (blunt) by Simply Scissors, with a beautiful ornate floral desi.. 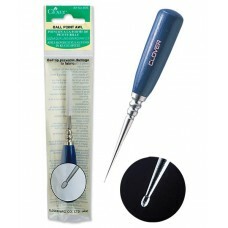 Excellent quality pewter Stilleto which can also be used as a laying tool by Simply Scissors, with a.. 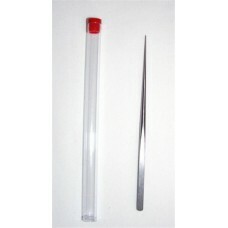 Excellent quality Tulip Awl with an easy-to-hold cushion grip which fits in your hand without becomi..